You probably can… but the question is really whether or not you should. If you are traveling to a foreign country, you can generally bring any piece of consumer electronics that is not specifically banned, as long as it is for your personal use. For example you can bring an electric razor, a cell phone, a radio, and yes, a cellular signal booster. But oh, if that were only the end of the story. Depending on the country you visit, it may be illegal to operate a cell booster, and more importantly it may not work. Every country has its own standards for cellular phones and many use different frequencies than the ones used in the US. Many cell phones are made with the ability to transmit and receive on the frequencies used throughout the world, but there’s not a single cellular signal booster that is designed to cover the frequencies used everywhere. A lot of this boils down to the fact that each country makes its own rules for how radio, television and cellular broadcasting take place, and most of them require that anyone manufacturing something that broadcasts go through an approval process. This process is expensive, but without it, a manufacturer can’t sell in that country. Now, if you don’t care if you sell in that country then you don’t go through the trouble. 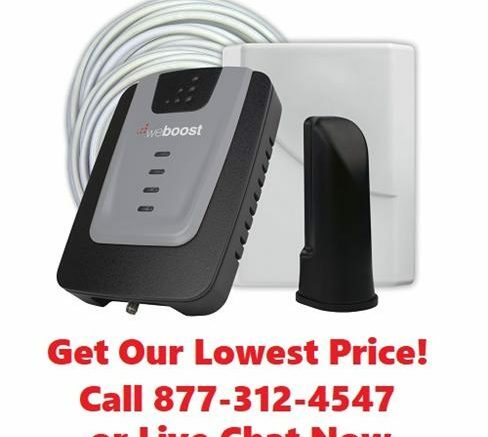 weBoost, our leading manufacturer of cellular signal boosters, sells boosters that can be used in the US, Canada and Mexico. They also sell boosters for other parts of the world but don’t sell those in the US. In general, we can ship to those countries and a few smaller countries in the Caribbean, but beyond that we’re prohibited from shipping to the rest of the world. Which is all right, since as I said the boosters may not work anyway. There’s one more thing to consider too… the plug. Any world traveler will tell you that once you get past the US, Canada and Mexico, plugs get weird, fast. Some are big and round, some are small and wide, and more importantly, some use the same 120 volts that we use here and some use up to 240 which would instantly fry any equipment that isn’t designed for it. Obviously there are adapters for this sort of thing but then that’s another whole expense. It’s just one more thing to worry about if you are seriously considering traveling with a cellular signal booster. Really, honestly, if you want a cell booster for another country, because you’re going to be living there, it’s probably best to get one when you get there. If you can’t find one in that country, that’s probably because they’re illegal there.